Get quick and professional assistance to repair your printer with Gibbc Network tech support services. Our tech experts can troubleshoot errors in your printer and ensure that it is in a perfect working condition. We can personalize your printer’s settings for better print quality as per your needs and requirements. We can also assist you in updating the latest versions of printer drivers. Just give us the green light to remotely access your computer via the Internet and Gibbc Network Certified Technicians can ensure that you have a smooth-functioning printer. 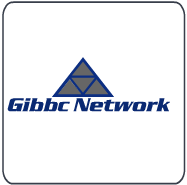 Call Gibbc Network, and we will help you customize your printer’s software and settings to maximize productivity. Complete printer tech support at one-flat-rate. Troubleshooting existing printer connection and errors. Installing / re-installing the latest printer drivers. Skilled technicians for any printer make or model. Gibbc Network skilled and experienced tech experts will provide support for printers of popular makes, like Dell®, HP , Lexmark™, Canon, Epson, etc.